Long ago, Larry Johnson explained to me the origin of the name of his most excellent blog. 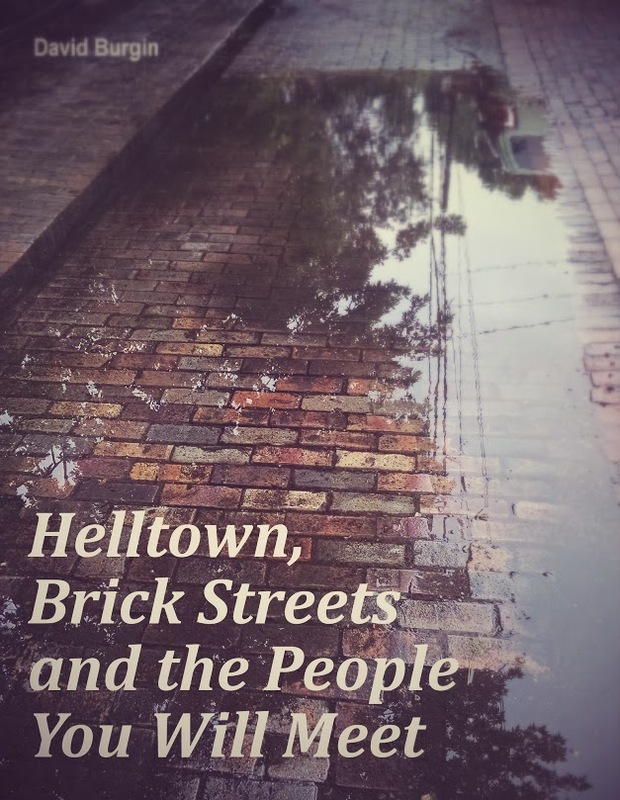 Apparently, and I'm going on Larry's word (If you know Larry, you know his word is granite infused honesty coated with a thick layer of fibber's kryptonite), Helltown was a nickname given to the town of Front Royal, Virginia. Helltown because, Front Royal was on the edge of what the British considered civilization back in the days of colonization. A rough and tumble atmosphere defined the small hamlet in its early days as loggers and soldiers and cattleman often clashed after a long night of drinking and carousing. Yesterday, Larry had another chance to wax poetic about his choice of blog title. Chris Doran made an appearance on the Red Cards in Helltown Podcast (If you haven't already, give the show a listen. Chris is thoughtful, well-spoken and possesses a keen insight into the beautiful game). 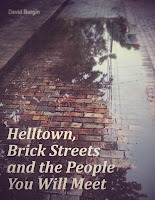 One of Chris' first questions was "What is the meaning behind Helltown?" A good story never gets old, and I enjoyed Larry's re-telling of the legend of Front Royal, Virginia. The streets and alleys of German Village, Ohio are an apt place for Red Cards in Helltown to be recorded. Once a place of buggy making shops, breweries and many ex-patriot Germans, German Village has a history of its own, and that history is not so different from Front Royal's. Germans and beer can occasionally, and I use the word "occasionally" loosely, find their way to the curbs and streets outside beer halls and backroom speakeasies. Now, I'm about to equate Chris Doran with beer, Germans and brick streets. Please, don't take that to mean that I think Chris is a hard drinking, knuckle busting throw-back to old times in Columbus, Ohio. Far from fitting the nickname, Chris brings an undeniable, elevated, level of class and sophistication to all things soccer. But, you know, soccer is a funny sport, a sport that reaches into our innards and withdraws little bits of everything that makes up the soul of us true believers. Chris Doran gets it. It being the core of our beautiful sport. The beauty of soccer, the whimsy of twenty-two humans making it up on the fly, is to be read like a good book, savored like an Academy Award winning movie and described by talent like Chris Doran from the inside, not talked over and shouted at. I really enjoyed hearing Chris's take on the Columbus Crew SC and all things soccer. Repeating my above sentiment, give the Red Cards in Helltown Podcast a listen. You won't be sorry. And remember, Chris Doran walked some of the old brick streets and alleys of German Village to join Larry, Rick Gethin and I. A little of the, sometimes, rough and bloody past is sure to have risen from the baked red clay and found a tiny hiding place in Chris's soccer loving soul. Maybe you can hear a little of the singing, clinking of beer mugs and exchange of un-pleasantries shared by the denizens of German Village's past in Chris' voice.